Tempt your senses with the perfect bowl of ramen! 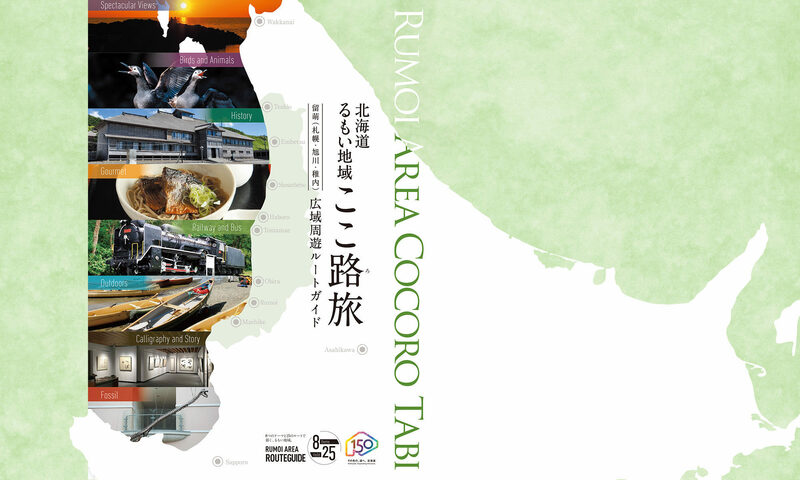 You can enjoy ramen at many ramen shops and restaurants in the Rumoi Area. A few particularly interesting restaurants and the unique ramen they sell are introduced here. 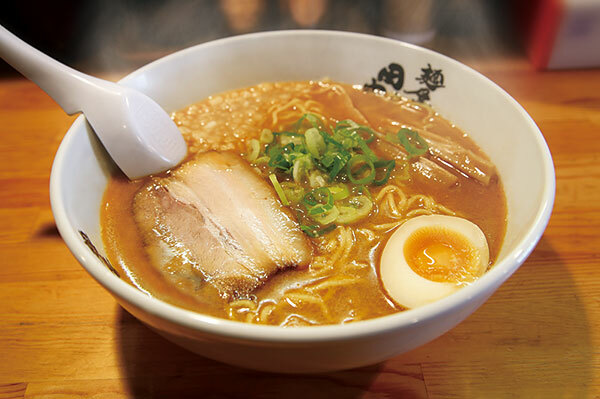 A trip to find and savor the perfect bowl of ramen would be a fun one indeed! “Shijimi Shio Ramen” is a salt-floverd ramen with lots of flesh water clams. 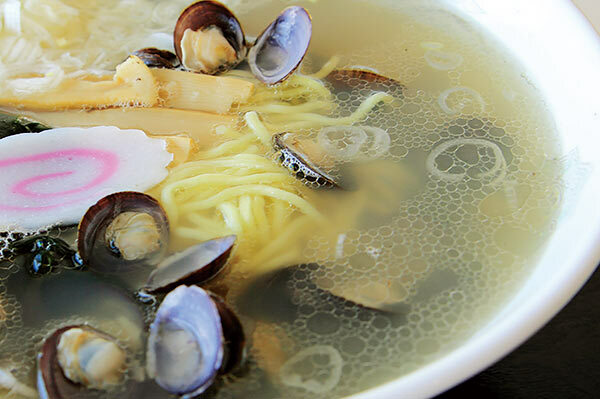 “Nihonkai Ramen” is served with seafood and vegetables. “Shijimi Ramen” has lots of fresh water clams. Salt-flavored Ramen with lots of scallops and seaweed is popular. One of the popular ramen is called “Tako (many happiness) Ramen” which contains octopus and octopus soup. Salt-flavored and soy-sause-flavored ramen are served with “Fugudashi”, soup stock made of globefish, which is on sale at the Michi-no-Eki. 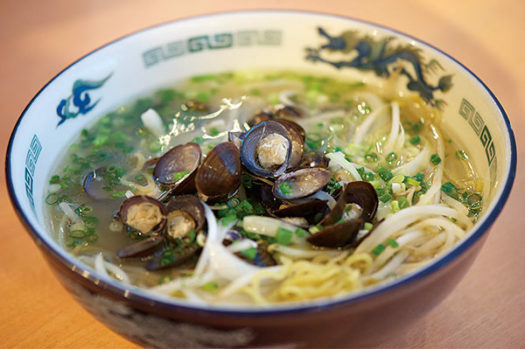 Famous “Fugudashi Ramen” is served with “fugudashi”, soup stock made of globefish. Lighter taste. “Haboro Ramen” is served with scallops, shrimp, sea urchin, and seaweed. “Haboro Ebishio Ramen” is served with deep-fried deep-water shrimp, ebitakogyoza (dumpling with minced deep-water shrimp and octopus stuffing). It also comes with 3 pieces of deep-water shrimp sashimi. Shrimp and octopus ramen is available seasonally during summer. Shrimp and octopus pot sticker-curry is also popular. “Ganso Fusha Ramen” is cleverly arranged to look like a windmill. “Yanshu Ramen” is served with nukanishin (herring packed in salt and rice bran) and its soup stock. Kaisendon (rice bowl topped with seafood) and “Hayashidon”(rice bowl topped with deer meat) are also served. 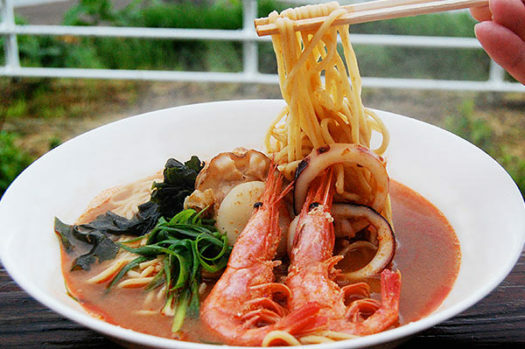 “Ororon Ramen” is served with native quid, scallop, and deep-water shrimp. The secret ingredient in the soup is tomato juice. “Sakekasu Ramen” is made of Sakekasu produced by the Kunimare Sake Brewery. The soup stock of “Amaebi Ramen” is made of deep-water shrimp.